August 16, 2018 - Like us now! I am back to Uber for my daily transportation needs. To be honest I never completely shifted to Careem. But I started using it more often mainly because I was disgruntled by Travis and his team’s actions last year. The change in management at Uber took care of some of that. 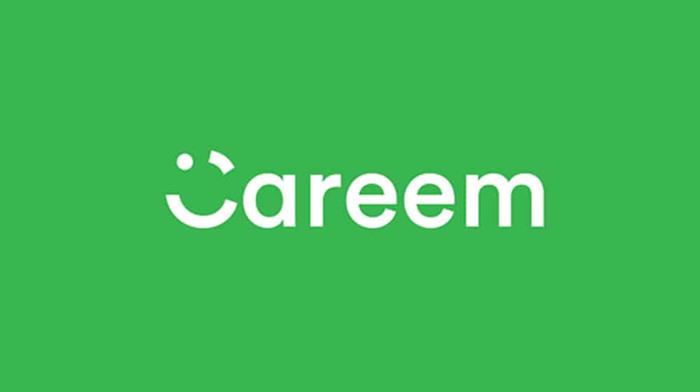 But the major credit for my move back to Uber goes to the marketing team at Careem Pakistan. For the past one year, I am living at my parents home. Both Uber and Careem don’t work there. Every time I landed in Lahore or Islamabad for work or family I was bombarded with promo codes by one company in particular. At first, I thought Careem cares. More because I use their service more. And I was slightly pissed at Uber for not wanting me back. But then I started using Uber one day because I felt that Careem driver was taking forever to reach to my location. So, from then onwards, I was on Uber. The fifth day of using Uber I received a promo code. Finally. A. Promo Code. A text message, an email, and an in-app notification felt too much especially when Careem already made me averse to these offers by sending me confusing promotional codes and notifications. That changed when I opened the Uber app again the next day. To my surprise, the promo was one tap away. No more remembering or copying discount codes from the long list of text messages. Perhaps most importantly it was just one offer with seven days of validity. While these might seem like small details, they go a long way in simplifying the user experience. Also, they give an impression that the campaign is for your benefit and not just another tactic to lure you into opening the app just one more time. Announcing Wasim Akram as CEO. In reality, he was in-charge for one day only. Announcing that you will get mangoes if you ride and then having no mango car on the road. Except for bloggers and celebrities who can help Careem in PR on social streams. And probably the most perverse of them all: sending a notification to users that their ride with <Female Driver Name> is here while users didn’t request to begin with. Just to make them open the app and push a DAU up maybe. This is women objectification of worst kind in a society already deviled in stereotypes. I am most certainly forgetting others and avoiding some (Rishta Aunities, Politicial Slogans etc) just to keep the sanity prevail. The irony is that Careem was a breath of fresh air in Pakistan when it launched. Or at least it felt like because of the management crisis at Uber. They localized the content and offerings better than Uber did. But it seems like they are becoming just the worst version of local taxi drivers. Even their content seems more offensive than funny. There is a fine line between being clever and creepy. Careem is definitely falling into the latter more and more. It becomes more obvious if you look at what they are doing with their service. With every campaign that does not work or is manipulative, you are basically challenging your customer’s intelligence. Seth Godin often says your product is your marketing. In the age of the Internet when your every move is open to the public and everyone has a microphone. You can’t just tell something else and do otherwise. While SMS, emails, and notifications are great “growth hacking” tools, they are not necessarily your permission to spam anyone. A spam company might seem too harsh for Careem right now. But they are getting closer. A spam is a piece of content aimed to lure you into using something which is not what was promised. And that’s effectively what Careem is doing in Pakistan. Gimmicky campaigns just to grab eyeballs and offers that have zero consumer benefit in them. Discount codes as a lure are not something new. Claude Hopkins introduced them about a century ago. The fundamental premise behind them, however, is to bring your customers to your gate so they can see what you have to offer. In the end, your product has to be good enough to capture those customers. They are not a magic pill to everything from lead generation to customer acquisition to retention. Careem successfully replicated Uber’s business model in the MENA region. It feels like they are totally lost on what to do with it. At least the ones running it in Pakistan are.